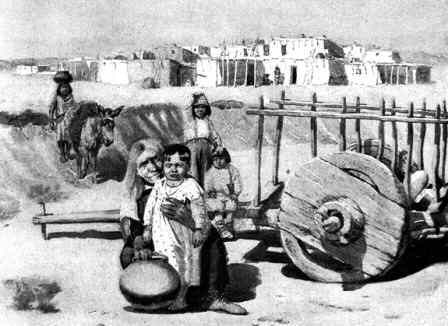 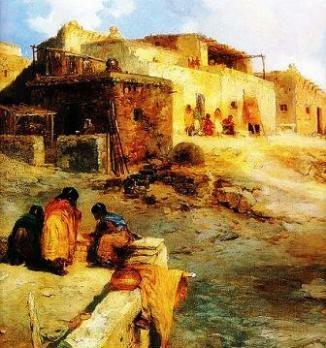 The Adobe House was a typical structure used as a house style that was built by the Pueblo, Zuni and Hopi tribes of the Southwest cultural group who inhabited the desert climates of New Mexico, Arizona, and Texas. 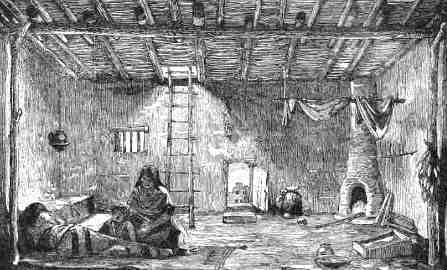 The Adobe Houses varied in size, were often terraced and multi-storey with access via a doorway or entry entry through the roof by ladder. 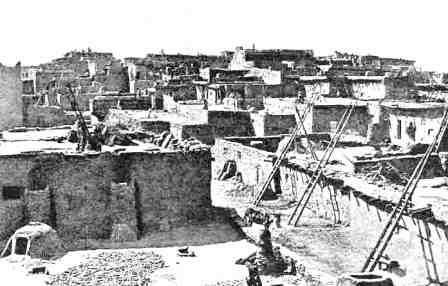 Ancient Pueblo houses were made of stone and were later built with sun-dried Adobe bricks made of clay, soil, sand and straw.